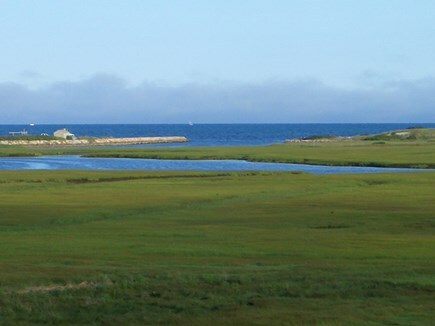 Seagull beach ~1 mile via the road but seen across the marsh. Updates to bathrooms and exterior in 2018. 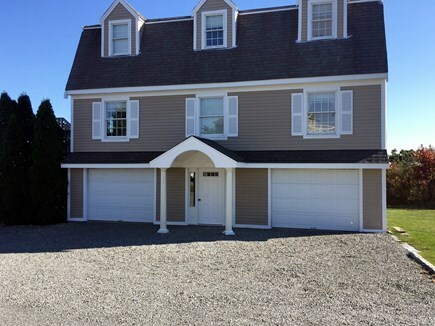 New Air conditioning----A clean, neat dormered, single family gambrel with lots of windows and beautiful water views from every room. Like new. 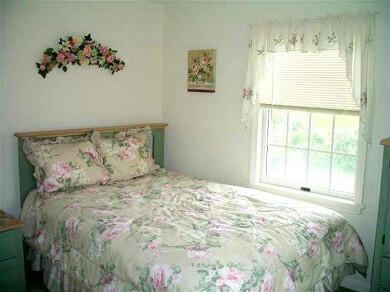 Nicely decorated to bring you that true Cape Cod feeling. 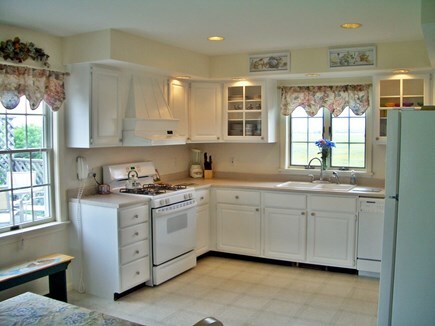 New Appliances and bright white kitchen. We are nestled in a quiet neighborhood at the end of a cul-de-sac. 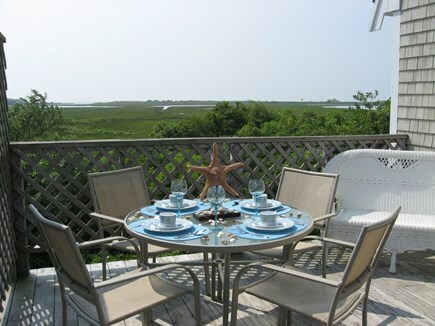 After a day at the beach come relax and enjoy the salt breezes and natural beauty that surrounds you on either of our 2 decks overlooking Lewis Pond and Seagull beach. 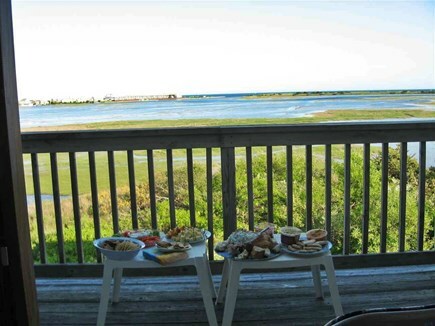 Our home has all the standard amenities to make your vacation comfortable and enjoyable. Spacious single family home makes a great family rental. We are centrally located and close to family attractions, many fine restaurants, and golf and shopping. 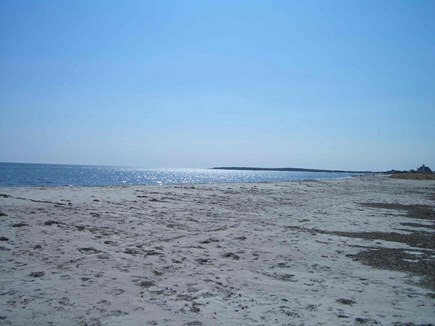 Just about 1 mile down the road enjoy fishing, kayaking, clamming (with permit) on famous Lewis Pond and Seagull Beach, one of West Yarmouth’s most beautiful beaches. Come experience the salt breezes and serenity! Main floor has kitchen, dining room, 23' great room with lots of windows, 1 bedroom with queen bed and full bath. A large deck is off the kitchen. 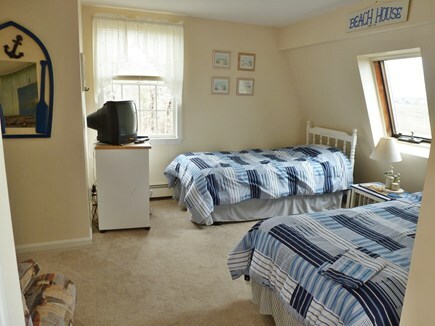 The 2nd floor has a large bedroom with queen bed, other bedroom with 2 twins plus a pull-out chair/twin bed and a full bath with Jacuzzi tub. A second, private deck is off the 2nd floor hall. A washer/dryer is also included on the bottom floor. Beautiful, spacious home in quiet neighborhood. Very clean and well equipped. Great view from deck. Convenient location. We have vacationed here for six seasons and looking forward to next time. Definitely recommend. The views from the house were beautiful and we found ourselves sitting and relaxing on the decks. The house was spacious and had everything necessary for a wonderful vacation. The neighborhood is extremely quiet. It was a very relaxing stay. We hope to return next year. Thank you for allowing us to stay in your home.